Most modern cell phones now allow you to take very good quality photos and videos. Unfortunately, it’s also far too easy to accidentally delete them as well! The good news is though, that in many cases it can also be very easy to recover lost cell phone pictures too! memory or memory card until you have read the guide below. lost mobile phone pictures successfully. The image data for picture and video files is usually kept on the phone by storing the files on a memory card inside the phone. When you delete photos from the phone, the data itself is not normally removed as that would take some time to do. So what usually happens is that just the index record that tells the phone where the data is stored on the card (or in the memory) is deleted instead. This means the cell phone now has no current record details of the where the data is for those pictures on the phone. It also means that the space where the lost cell phone pictures were stored can now be used by the phone for storing new pictures and data. So, to have the best chance of being able to recover deleted phone photos successfully, try and avoid doing anything with the phone that increases the likelihood of new files and data being written to the cell phone’s memory card. The easiest way to find out if you can recover the pictures deleted from the phone, is to connect your phone (or its memory card ) to a computer and run the photo recovery software that we recommend in our guide to photo recovery below. This will show you what pictures can still be recovered from the phone. If you can see your deleted pictures in the list and as a small image in the preview pane then they can be recovered. Check out our guide to recovering deleted cell phone photos here. I wanted to know if it was possible for me to retrieve old delete pictures from a cell phone I no longer have? That would be quite unlikely. You’d need to still have the phone available to connect to a PC with Photo Recovery Software as detailed on this webpage. Or to have previously saved them somewhere else first while you still had the camera. It depends on the phone and how it is seen by the PC it is connected to (if it is seen as an external device). Easiest way to find out is to connect the phone to the PC using its USB connection cable, run the trial version of the software and see if it sees the phone as a device. If it does, it should be able to attempt the recovery as normal. i have a samsung galaxy 3 mini i recently took out memory card to get photos printed and was told that there was none on yet i had them in my albums? unfortunately when my memory card was put back in my phone it keeps coming up with blank sd card and format id card? it also says all data will belost please help. Avoid formatting the card as that will just make it harder and more unlikely you’ll be able to recover the data. Connect the phone to a PC using the USB cable. 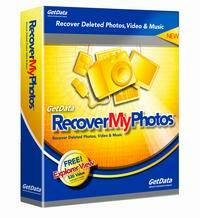 Download and install the free demo of Recover My Photos. That will show if the phone’s card can be seen as a memory device and if so, running a scan will show what files if any it can recover from the card. To recover them, you’ll then need to upgrade to the full version. Hi, I have received an encrypted file on my cell phone and it deleted my photos, I have done the “Recover my photos” and it shows on the recovery list, but how do I get my photos back either on my cell phone or on my PC? If you’ve connected your phone to the PC, and downloaded and run the trial version of the recovery software and that is showing that there are photo files you want to recover – then to complete the recovery process, you need to click the Buy button in the software. That will enable the full version of the software and let you save the files you want to recover to a new location (in this case, saving them to your PC would make sense). Note – you should always save the files to a different device than the one they are being recovered from. As it sounds like you had a malicious file on your phone, I’d suggest you make sure you are using antivirus software on your PC to avoid that being infected too. Hope that helps – hope you get your images back. i have an old pantech p7040 series phone. i bought it in 2009 or 2010. i dont have a memory card or a usb cord for my phone. is there any way i can retrieve deleted photos from my phone. i save everything to phone and not sim card. is that stupid for me to do so?? can someone e mail me with some advice please?? Not having a way to connect the phone to a PC means you can’t run recovery software that might be able to locate and recover the deleted photos. Saving everything to the phone and not a card isn’t necessarily stupid, but it doesn’t help in a scenario like this. If you save images etc to a memory card, then at least you can remove it and plug it into another device such as a card reader or PC card slot when this kind of thing happens. how can I restore those photos! As it says in the post above, follow the recovery procedure shown here using the recommended software. Can I retrieve photos from a phone that doesn’t work or power up??? Only if it powers up when you connect the phone to the PC (that runs the recovery software) with its USB connection lead…. or if it has a memory card that you can put in a card reader connected to the PC. even after reseting the phone or after reinstalling windows . Irrespective of the device concerned, actions such as resetting the phone, reinstalling Windows, formatting the device’s memory or memory card etc will decrease the likelihood of being able to recover the data for the deleted images. 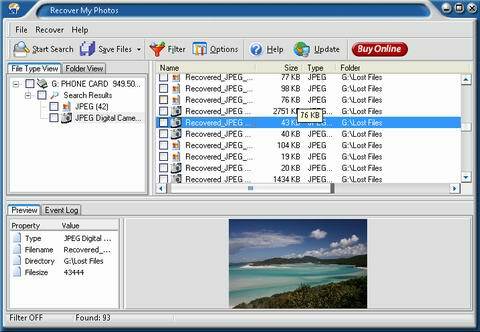 Download and install the free demo of Recover My Photos to a PC. Hi I have a android phone I lost the phone in car accident can’t locate the phone at all is there any chance that I could some how upload the photos or retrieve them ????? Probably not – unless you already had the phone set up to back up or sync to some storage (e.g. the cloud) regularly using something like the built in Google Photos tools. If that wasn’t already enabled and set up and you no longer have the phone to hand then it’s unlikely. I have a flip phone with camera and I was trying to delete this one photo and ended up deleting all my pictures. Anything I can do to retrieve them? Similar to an earlier answer here – it depends on the phone and how it is seen by the PC it is connected to (if it is seen as an external device). Easiest way to find out is to connect the phone to the PC using its USB connection cable, run the trial version of the software and see if it sees the phone as a device. If it does, it should be able to attempt the recovery as normal. Bear in mind that the more activity you do on your phone in the meantime will increase the chances of the image data in the phone’s memory being overwritten and so losing the images forever.